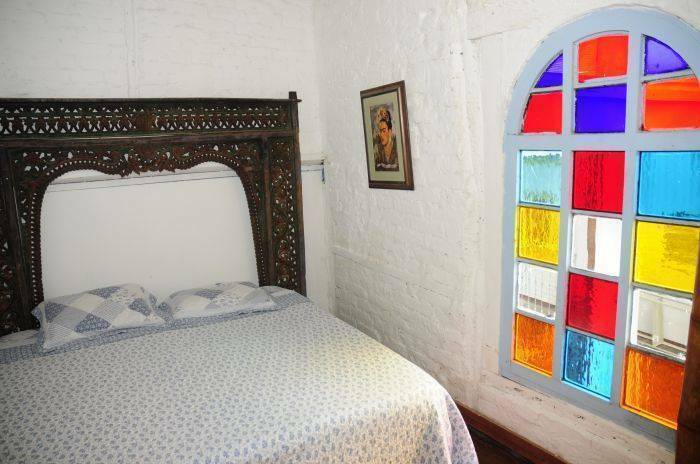 Lima Limon Candelaria is a boutique art hostel which combines art, colors, comfort and a relaxing atmosphere. 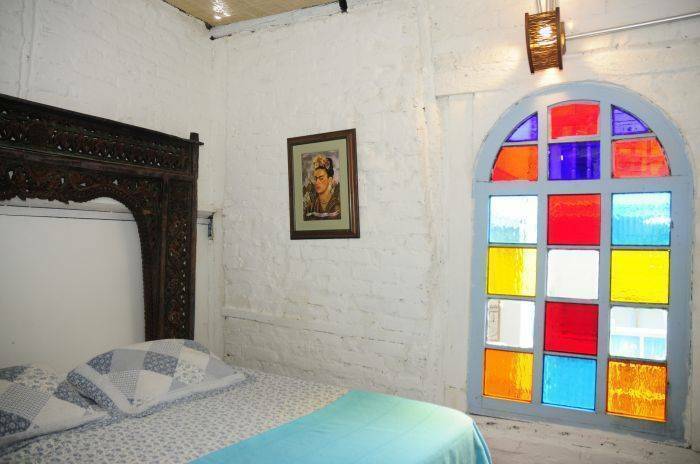 Candelaria is the right place if you want to visit excellent museums and monuments. We are just five minutes walking from the hostel to the Gold Museum and the Botero Museum. Also, you can enjoy the best view of the city in the Montserrate hill, only five blocks from the hostel. 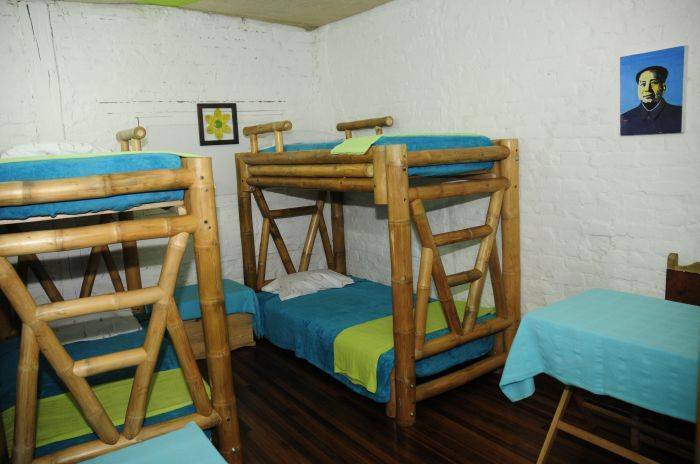 You will fall in love with Candelaria and Lima Limon Candelaria Hostel. 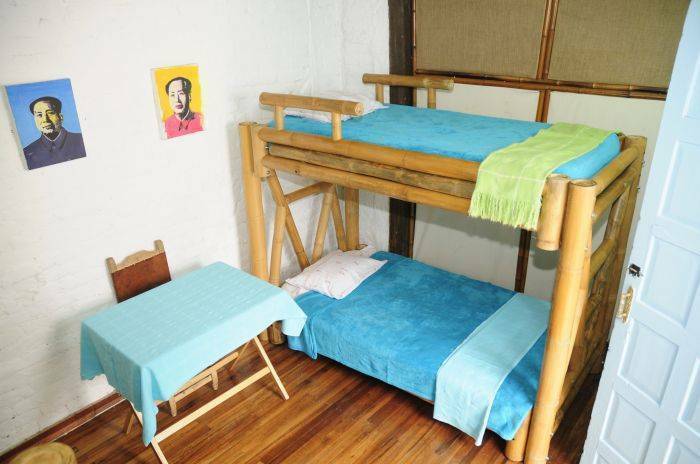 Lima Limon Candelaria Hostel is placed in the neighborhood of The Candelaria, the historical center of Bogota, only one block to the square Chorro de Quevedo where Bogota was founded in the 16th century. We are really close from the historic Street of the embudo, the most famous Street in Bogota which contains the best bars and restaurants. 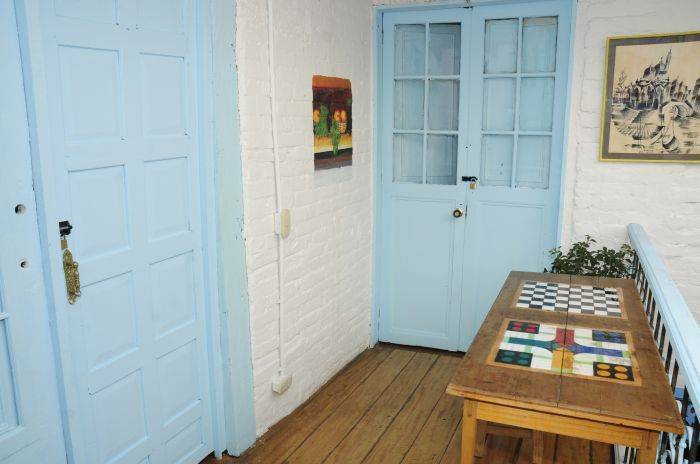 Lima Limon Candelaria has an art gallery and a 24-hour front desk service. In the airport and bus terminal after baggage claim you should look for the taxi stand. Please give them our address (Carrera 1 número 12B-15) and they will give you a piece of paper with the price that you should pay. The taxi ride from the airport costs approximately 20. 000 colombian pesos and 15. 000 colombian pesos from the bus terminal. 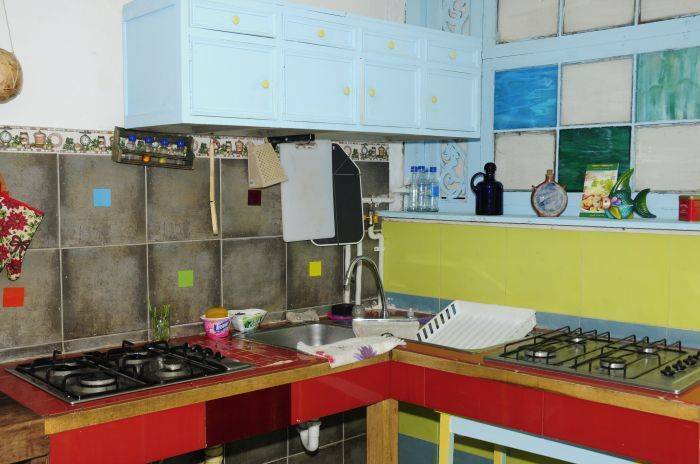 Dont pay more than the normal price and call us if you have any question. There is a bus called "germania" that comes to Candelaria neighbourhood.. You have to stop in "calle 19 con carrera 3" (Street 19 with 3) and you have to walk 8 blocks (15 minutes) from there to the hostel. For security, we recomend you not to take a bus in the night.